Okay, so Redditastic isn't technically an app, but it is a pretty sweet widget that lets you throw your favorite subreddits on one of your homescreens. 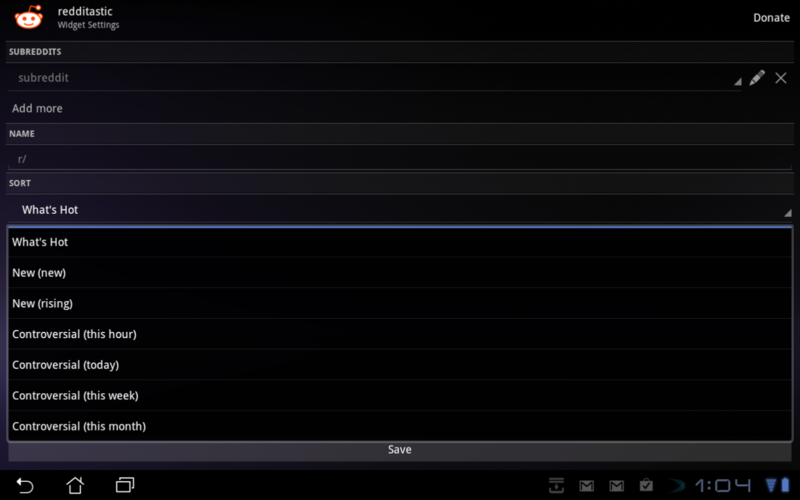 Unfortunately it's only currently available for devices running Honeycomb or ICS, and it probably won't see any previous builds of Android simply because scrollable widgets aren't supported by them unless you use a custom launcher. 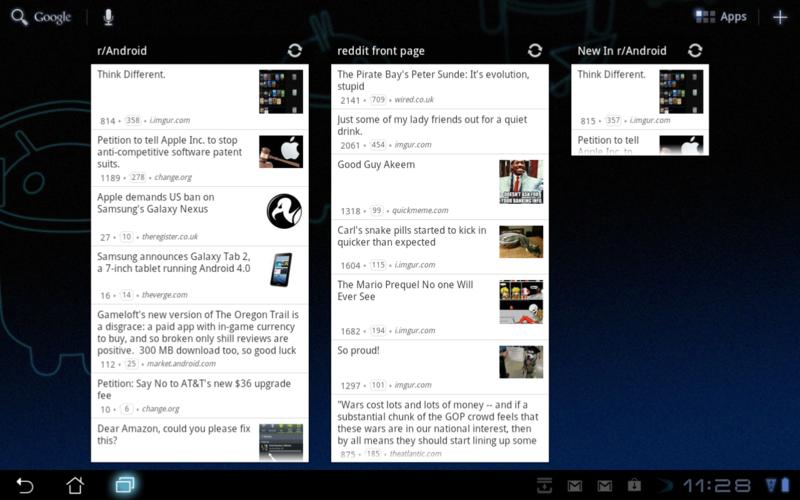 That being said, if you do own a supported device, this Reddit widget is definitely one to check out. What's cool about Redditastic is that it lets you create individual widgets for each of your favorite subreddits. 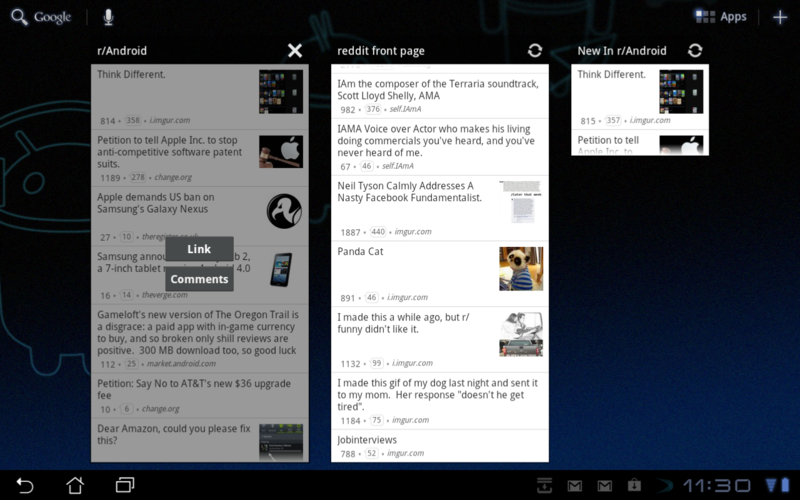 You can also choose to have the feed populate with hot, new, top, and controversial threads. When you tap on an individual post you have the option to visit the link it's associated with or view the comments. The link option will open your default browser to follow the link, but the comment option gives you the choice to view in the browser or a Reddit app like Baconreader. You can add as many subreddits as you like to one widget. So you can mix some /r/aww in with /r/Android, and get a dose of cuteness in between seeing what's hot in the Android community. As you can see from the screenshots above, each panel is completely resizable. 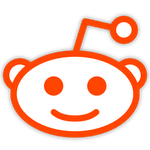 I find this useful because I like to keep an eye on what's new in the Android subreddit, but don't religiously visit it. The resizing option will allow me to throw it in a corner, then expand it when I want to take a look. 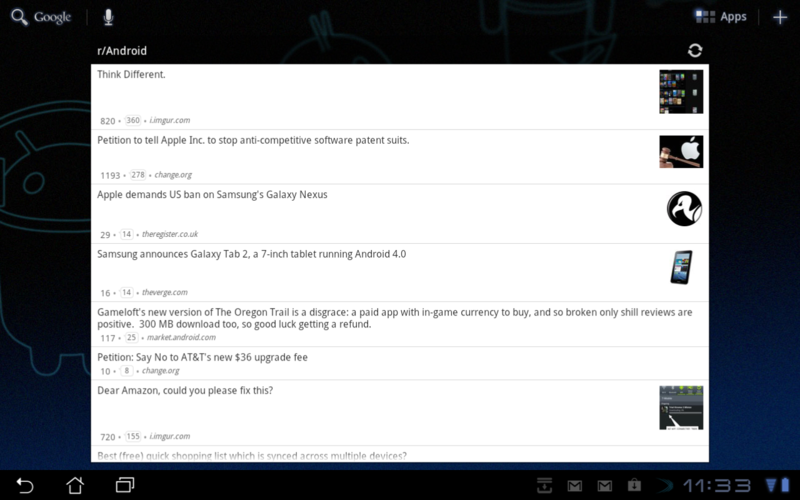 While I think that this widget makes browsing Reddit much easier, I do have a few issues and concerns to address. First and foremost, there is no way to sign into your user account. You are not able to upvote, downvote, or comment directly from the feed and I think that severely cripples functionality. It's also impossible to add multiple filters onto one widget. 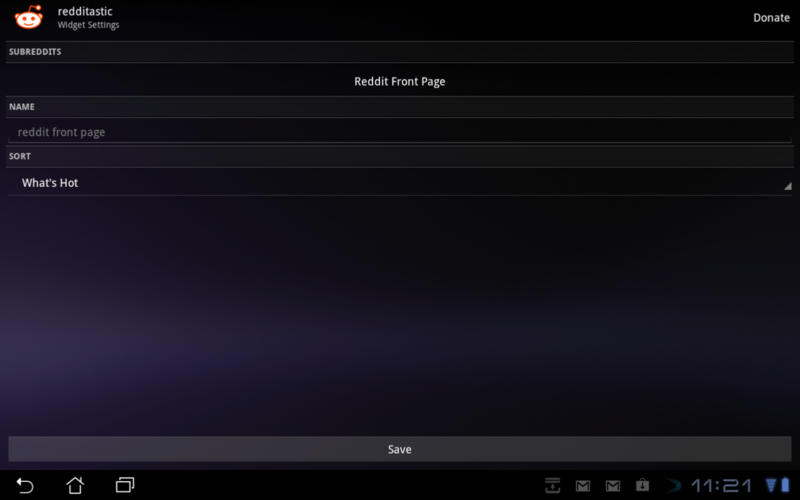 Instead of creating a single widget that can display what's new and what's hot from one subreddit, I'd have to make one for each. In addition, the feed only seems to populate with the first page of the subreddit you choose and has no option to see additional pages. Seeing as Redditastic is fairly new to the Market, I'm sure many of these issues or requests will be addressed with future updates. If the developer adds account options, additional customization, and the ability to see beyond the first page, this will be an incredibly valuable widget. I don't really think it could fully replace other popular Reddit apps, but it is perfect for quick browsing and keeping your eyes on particular posts. Oh, and did I mention that it is completely free? The developer put a little donate link in the top right corner, but you'll have access to all features even if you choose not to donate.